The Gold content in a metal is measured in terms of karats (“k” or “kt”). Pure Gold or 100% Gold is referred to as 24k Gold. When this pure Gold is alloyed with other metals, such as silver, copper, or nickel, the Gold percentage decreases. 18k Gold is 18/24th or 75% pure Gold, and 14k Gold is 14/24 or 58.3% pure Gold. As the percentage of pure Gold decreases, the strength of the metal increases: so 14k Gold is stronger than 18k Gold. Additionally, as the percentage of pure Gold decreases, the price of the metal also decreases: so 14k Gold will cost less than 18k Gold. 22 karat Gold equals 91.7% Gold still too soft for jewelry. Popular in certain parts of the world. 14 karat Gold equals 58.3% Gold extremely popular for jewelry. Good balance of durability and value. 10 karat Gold equals 41.7% Gold lowest Gold content that can be legally marked as Gold in the Canada and the United States. To determine the karat weight of a piece of jewelry, look for the markings on the jewelry. In the United States all Gold jewelry will be marked with its karat weight, designated by 24k, 18k, 14k etc. In Europe, jewelry is marked by a number which is the percentage of Gold in the alloy, for example 18k is marked “750” to designate the 75% of Gold in the metal. Gold has a warm yellow color in its purest form. Even when it is alloyed with other metals such as silver, nickel or palladium to make 14k or 18k Gold, it retains a yellowish color. The richness of the Gold color is directly affected by the percentage of Gold in its alloys: therefore, 18k Gold has a richer Gold color than 14k Gold. To give White Gold its brilliant shiny white luster, the final process of making White Gold involves plating the metal with a layer of Rhodium. Rhodium is a shiny white metal, which is extremely hard and durable. Over time, with regular wear, the Rhodium plating may wear off revealing the yellow Gold underneath, and can be easily repaired by a jeweler who can redo the Rhodium plating. When Gold is alloyed with a high percentage of Copper, the presence of Copper gives the alloy a pinkish tint. This alloy has popularly come to be known as Rose Gold. In addition to the karat weight, several other factors determine the price of Gold jewelry. These factors include, but are not limited to, total weight of the jewelry, design and construction, and ornamental detailing such as engraving and the finish of the metal. Although nearly all Gold jewelry today is made with the help of special machines, some hand work is almost always involved, and the more hand work that is involved, the higher the price. It is very important to take proper care of your Gold jewelry to maintain its beauty. It is advisable to remove all jewelry during rugged activities. Gold jewelry can be very easily cleaned, by soaking it in a mild soapy solution and scrubbing it very gently with a soft bristled brush. Try to always store your Gold jewelry in an individual or compartmentalized fabric lined case as this will prevent any unnecessary scratching. Check the prongs of your jewelry regularly, and always show your jewelry to a professional if you notice any loose prongs. Silver is a popular and widely used metal for jewelry such as earrings, necklaces, and bracelets because of its highly reflective and shiny nature. 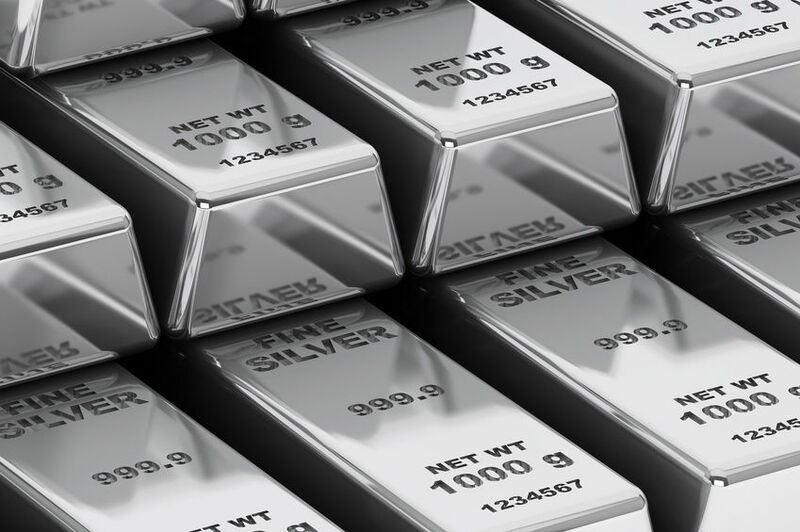 In its purest form, silver is referred to as fine silver. Sterling silver consists of 92.5% silver and is mixed with another metal, usually copper. It is a softer metal than gold alloys or platinum and it is often not practical for wedding rings and engagement rings. The proportion of silver used in combination with other metals is usually referred to in terms of fineness, or parts of silver per thousand. Sterling silver is susceptible to oxidation and can tarnish, often appearing as dark yellow or orange and progressing to a blackish purple colour. If your jewelry does tarnish over time, you can remove it using a jewelry cleaner or polishing cloth purchased from a jewelry store. In order to prevent tarnish, it is best to store your silver jewelry in a soft pouch in a cool and dry environment. It is also recommended that you take off your silver jewelry when applying moisturizers, perfumes, sunscreens, soaps, and chemicals in order to prevent it from becoming tarnished. As silver is a soft metal, it should be removed prior to any physical activity in order to prevent damage. Platinum is a very rare and pure metal and is white in colour. When used in jewelry, it is 95% platinum (950) and usually mixed with 5% ruthenium. It is a strong, durable, and heavy metal and does not tarnish easily. Platinum is generally more expensive than gold because of its rarity and therefore, platinum is not used as often as gold to make jewelry pieces. Platinum is a strong and durable metal and does not suffer much metal loss over its lifetime. You can restore its shine with periodic polishing. Palladium is similar looking to platinum in that its colour is white in nature. It is lightweight, easy to polish, and does not require rhodium plating. However, palladium is lower in price than platinum. Palladium in jewelry usually contains 95% palladium and 5% ruthenium and as a whole is called 950 palladium. You may notice that it is also similar looking to white gold. You can maintain and restore the shine of palladium with periodic polishing.